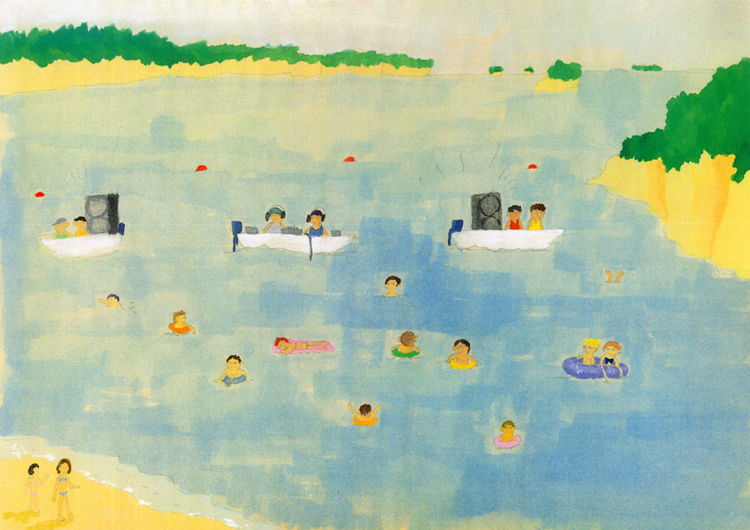 Holding a beach party centered on dead drifting sailors, Tsudayu and his companions, to celebration them through electronic music. The sailors are the first Japanese people who traveled around the world 200 years ago. 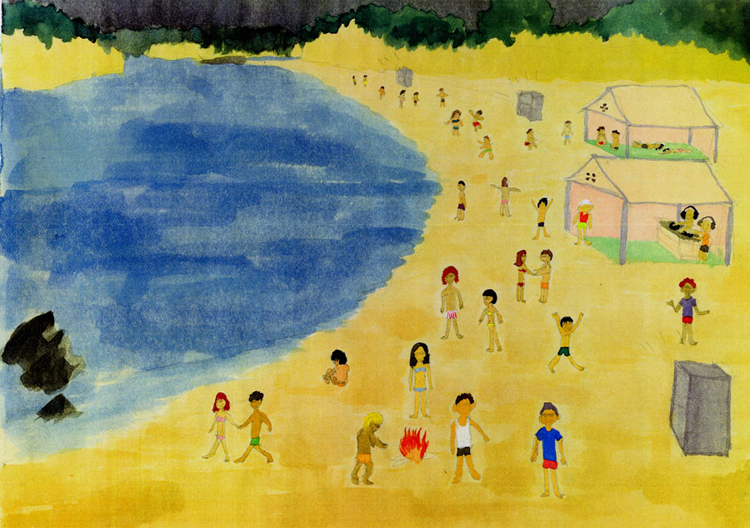 They were shipwrecked by a storm which leads to their world‐round drifting trip. 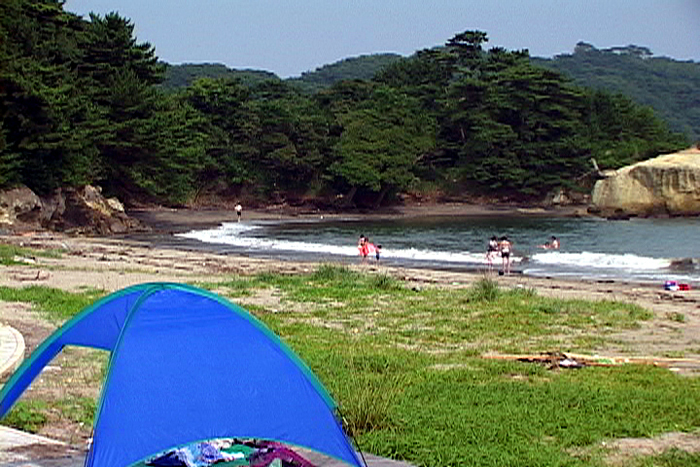 The site of the beach event, a quiet island, one of the Urato Islands, is the sailors’ native place. Over 15 local DJs, musicians and bands approved this project to take part in this celebration. Shiina, as the director of the event, intended to show how people empathize with others who died by this time, or whom we have never met. The event is going to be held every summer for 13 years which is the same number of years the sailors drifted around the world during Japanʹs period of isolation. The main content of this event was live performance of electronic music on cargo boat, which size is about 9m x 7m. 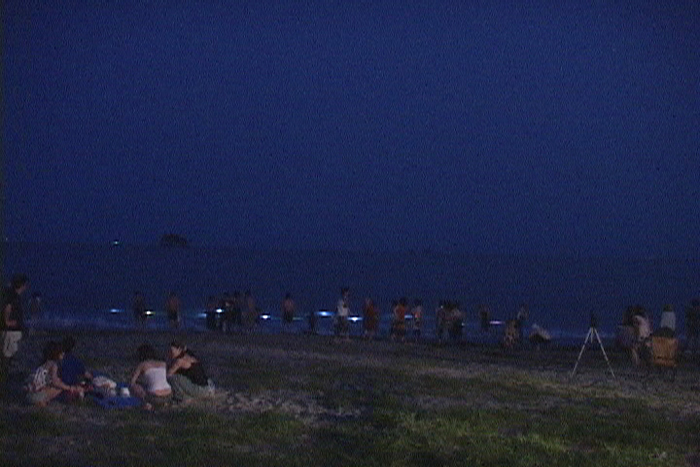 Audience could be also floating on the sea to listen to the sounds. But the typhoon had come on the weekend, so that the performance on boat was cancelled. It was synchronization to the history. Our party has started drifting too. 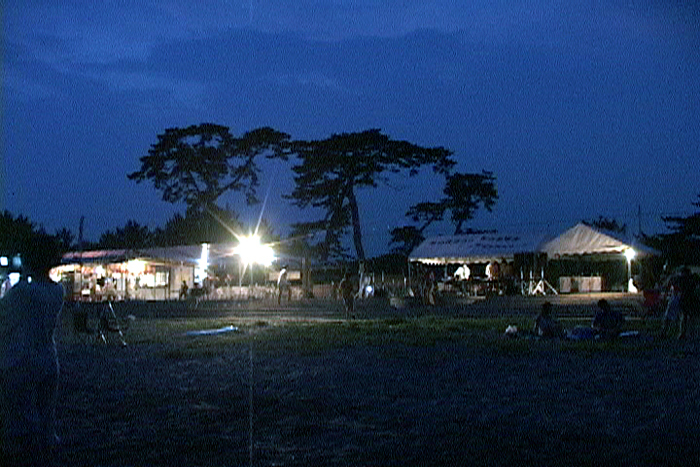 About 10 DJs/electronic sound artists, 3 acoustic instruments groups, and 3 visual artists took part in this celebration in 2007. The number of audience was over 200. It was all free party. 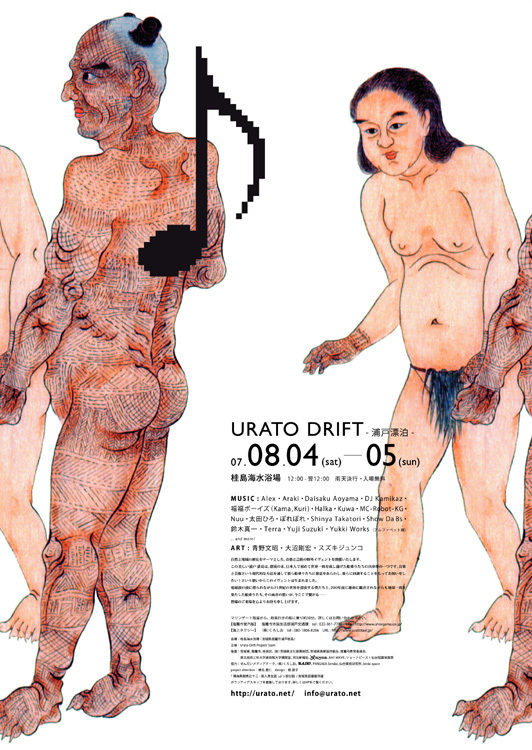 These two images above are flyer and poster of Urato Drift 2007. The figure who has tattooed on his whole body is people in the Marquesas Islands in the southern Pacific Ocean. We can see the native customs at the time when the drifters, Tsudayu and his companions, dropped by the islands on their way back to Japan. 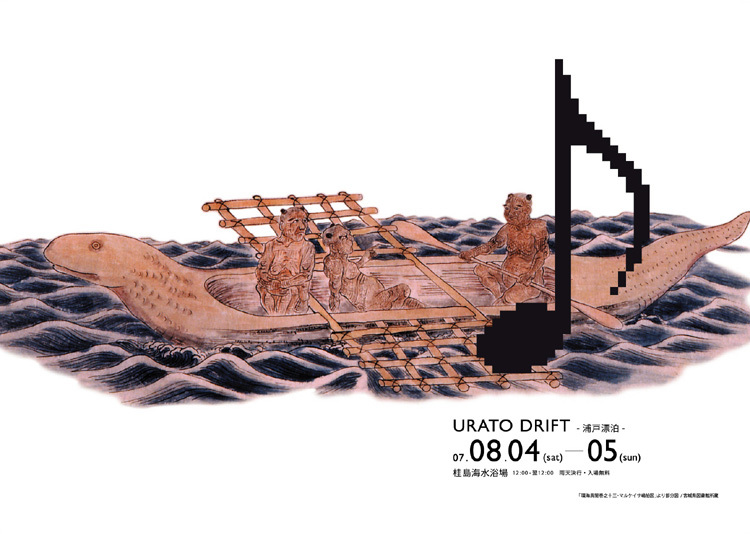 The original picture using on the flyer and the poster is included in “Kankai‐ibun” (means in Japanese, “strange news from global ocean”, published in 1807) which is an official record of drifting trip around the world, written by Gentaku Otsuki, he was asked by the Sendai clan to question the drifters about their experiences in overseas. The questioning must have been quite strict as Japan was in national isolation and the shogunate government banned people from travelling overseas at that time. “Kankai‐ibun” is in the collection of Miyagi Prefectural Library at present. The flyer and the poster are designed by Tomoko Kon. Beach houses and DJ booth in the evening. Listening to the sounds of waves and electronic music at the same time on the shore.